Dar al Tiraz is a place of art and of knowledge, entirely dedicated to handwoven figured weaves. 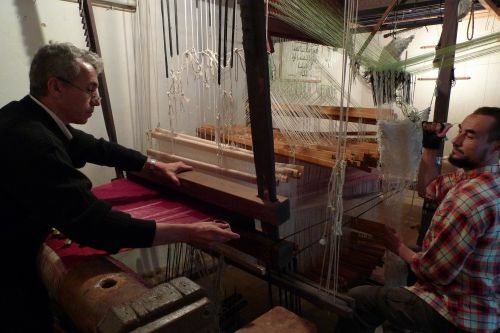 It is situated in Fez, a long-distinguished city in the field of silk-weaving. 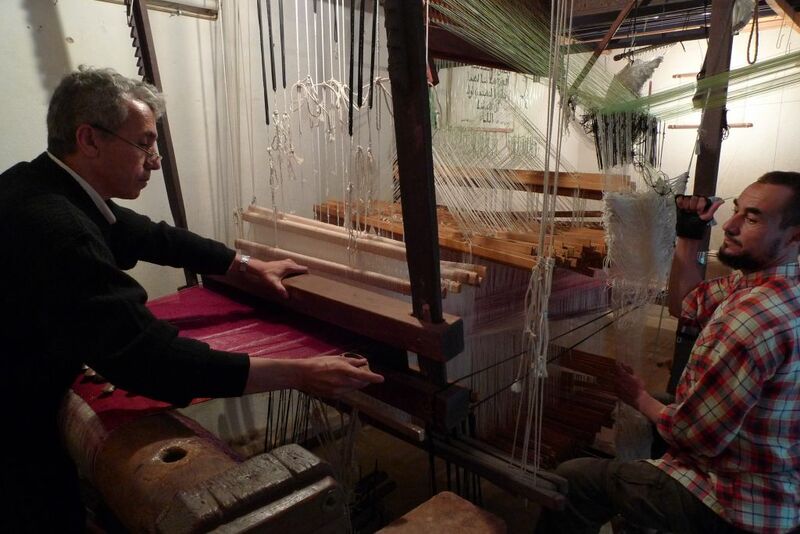 The foundation of Dar al Tiraz was motivated by our wish to revive medieval Arabo-Andalusian weaving. 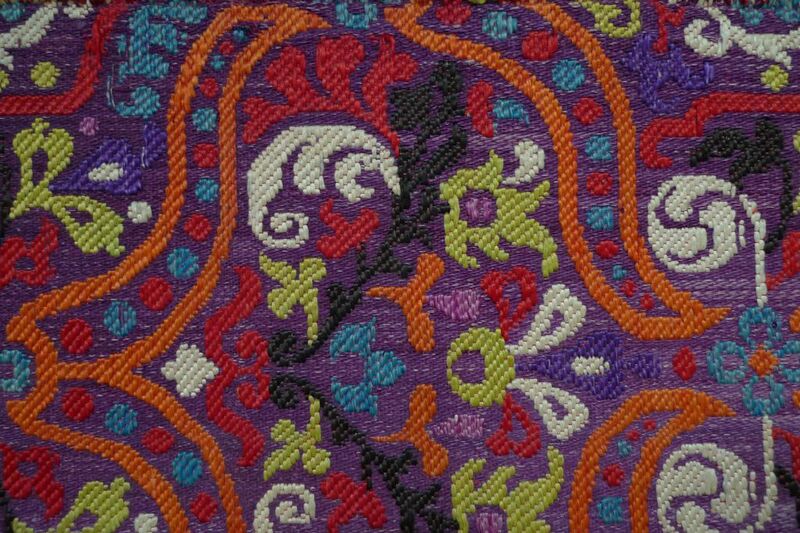 Today, our studio is one of very few in the world that still produce figured weaves on hand-operated drawlooms, following a time-honored process long used in many countries (from Japan and China, in the far East, to Spain and Morocco in the far West).